Department of Pharmaceutical Chemistry, Faculty of Pharmacy, Sri Ramachandra Institute of Higher Education and Research (Deemed to be University), Porur, Chennai - 600116, Tamil Nadu, India. ABSTRACT: Herbal drugs play an important role in the treatment of much illness. The plant has tremendous biological effects and applied in the different system of traditional medication for the treatment of various diseases. Marsilea minuta is one of the most popular foreground plants for aquariums that grows about two to three inches tall in shallow water and has attractive little markings on the tiny, variegated, green leaves. It is an aquatic or sub-aquatic fern used as a vegetable, has wide applications in traditional/folk medicine in India and Bangladesh. It is a member of the fern family. Synonyms of Marsilea minuta are Marsilea crenulata Desv, Marsilea diffusa A. Braun and Marsilea rotundata Wild. Marsilea minuta possesses many pharmacological activities such as antipyretic and analgesic, antidiabetic, antitussive, expectorant, antiamnesic, anti-aggressive, antimicrobial, hepatoprotective, antifertility, anti-tumor, antioxidant activity. This study was aimed to present an overview of traditional use, phytochemical and pharmacological investigations present in this plant. INTRODUCTION: Marsilea minuta is a highly plastic and variable pteridophyte belongs to family Marsileaceae. Common names of this plant are water clover and four-leaf clover gelid water lawyer, small water clover, airy pepperwort, and pepperwort 1. 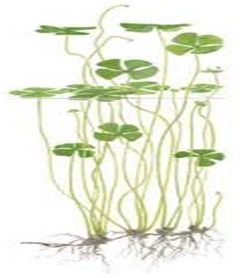 Water clover is a small, creeping fern with erect 4-foliolate leaves. Water clover is an ornamental pot plant and is used pond decoration. The bright green leaves are tender and are eaten as a potherb. The extract of the whole plant is used as an aphrodisiac and for increased fertility 2. The plant is used as a sedative, and it has anticonvulsant activity 3. The leaves are used in treatment for indigestion when it was cooked with rice and then eaten. The juice of leaf extract is used to stop nose bleeding. The leaves of Marsilea minuta and leaf of Shorea robusta is boiled and then applied to swollen gums to reduce the swelling. When it fed to gerbils, leaves extract reduced cholesterol and triglyceride levels in blood and liver substantially 4. It also acts as astringent, coolant, digestive, diuretic, hypnotic, and expectorant Effects when it is taken as an entire plant. Many of its potent effects reported in Ayurvedic treatment for the diseases such as psychopathy, diarrhea, cough, bronchitis, skin diseases and fever. Fresh plant decoction is taken twice a day for 10-12 days for spasmodic muscular contraction of the urethra and bladder. Root paste is applied for atopic dermatitis 5. Geographical Distribution: Marsilea minuta is generally prevalent in almost all the states of India particularly tropical Africa and Asia. Generally, it grows freshwater or in brackish water (Trinidad) on sandy or clay substrates. It is also found in a swamp 7. Different Species of Marsileaminuta: 6, 8 Other species of Marsilea minuta are Marsilea aegyptica, M. ancyclopoda, M. apposita, M. burchellii, M. coromandelina, M. crenata, M. crotophora, M. deflexa,, M. distorta, M. drummondii, M. ephippiocarpa, M. farinosa, M. fenestrata, M. hirsuta, M. macrocarpa, M. macropoda, M. aminuta L., M. mollis, M. mutica, M. nubicam, M. oligospora, M. quadrifolia L., M. schelpeana, M. unicornis, M. vera, M. vestita M. villifolia, M. villosa. Phyto-constituents: Marsilea minuta contains various constituents like phenol, flavonoids, saponins, quinones, tannins, terpenoids, coumarins, total sugar and anthroquinones 9. Also reported it contains Marsiline 3. Marsileagenin- A 10. Quercetin-3-O-glucoside, chalcone- O- glucoside kaempferol-3-O-glucoside, quercetin- 3- O-galactoside, like flavonoids were reported 11 naringenin-7-O-glucoside, quercetin-3-rutinoside (rutin) 12 also Presence of β-sitosterol and hentriacontane are reported. Around 36 phytocompounds including Phytol, n-Hexadecanoic acid, 9-Pentadecadien-1-ol, 2-Cyclohexane-1-one, 4-hydroxy-3, 5, 6-trimethyl- 4 (3-oxo-1-butenyl), 9, 12, 15-Octadecatrienoic acid, 3, 7, 11, 15-Tetramethyl-2-hexadecane-1-ol was reported in the methanolic extract of leaf of M. minuta. The methanolic extract of stem of M. minuta showed the presence of 27 bioactive compounds include, Glycerin, 1,19-Eicosadiene, n-Hexadecanoic acid, methyl ester, and 10-Octadecenoic acid methyl ester and Benzofuran, 2, 3-dihydro- 3, 7, 11, 15 – Tetramethyl-2 hexadecene-1-ol 13. Physico - Chemical Characters: Preliminary phytochemical studies, morphological characters, powder microscopy and quantitative microscopy and determination of physicochemical parameters of leaves of Marsilea minuta Linn. was carried out to identify the plant material and for the isolation of components 14. CONCLUSION: Marsilea minuta L. has numerous activities and treat much illness such as insomnia, mental disorders, kidney infection, Skin diseases, as diuretic, hepatitis, diarrhoea, bronchitis, diabetes, blood purifier and treatment of piles and it possesses many biological effects like anti- pyretic and analgesic, antidiabetic, antitussive, expectorant, antiamnesic, anti-aggressive, antimicrobial, hepatoprotective, antifertility, anti-tumor, antioxidant. The benefit of the vital nature of Marsilea minuta L. and its wide geographical distribution might offer an opportunity to develop many formulations by usage of this plant. Thus, this article offers an excellent accessible source for a study on active compounds for traditional medicine and allied applications for future researchers and make it useful for the society. ACKNOWLEDGEMENT: The authors are grateful to the Management of Sri Ramachandra Institute of Higher Education and Research for their constant support and encouragement. Beentje HJ: Marsilea minuta Dwarf Water Clover, Gelid Water Klawer, Small water Clover; The IUCN Red List of Threatened Species 2017. Upreti K, Jalal JS, Lalit M, Tewari G, Joshi GC, Pangtey YPS and Tewari G: Ethnomedicinal uses of Pteridophytes of Kumaun Himalaya, Uttarakhand, India Journal of American Science 2009; 5(4): 167-170. Chatterjee A, Dutta C P, Chaudhury B, Dey PK, Dey CD, Chatterjee C and Mukherjee SR: The chemistry and pharmacology of Marceline: a sedative and anticonvulsant principle isolated from Marsilea minuta Linn. and Marsilea rajastanensis gupta. J Experimental Medical Sci 1963; VII: 53-67. Bhattamisra SK, Singh PN, Singh SK and Kumar V: Anxiolytic activity of Marsilea minuta Linn. in rodents: Jou of Herbal Medicine and Toxicology 2007; 1(1): 15-20. Jain AS, Roshnibala P, Kanjilal B, Singh RS and Singh BH: Aquatic/semi-aquatic plants used in herbal remedies in the wetlands of Manipur, Northeastern India Indian Journal of Traditional Knowledge 2007; 6(2) : 345-351. Von LC: Mantissa Plantarum Altera; Generum editionis VI & specierum editionis II. Holmiae, 1767: 1707-1778. Cook Christopher DK: Cyperaceae; Aquatic and Wetland Plants of India, a reference book and identification manual for the vascular plants found in permanent or seasonal fresh water in the subcontinent of India south of the Himalaya 1996: 105. Grin species of marsilea: Germplasm resources information network, United States Department of Agriculture 2017. Revathi M and Catharin SS: Phytochemical studies on leaves and petiole extracts of Marsilea minuta L: International Journal of Science and Research 2014; 3: 1872-1874. Gupta RS, Kumar P, Sharma A, Bhardwaja TN and Dixit VP: Hypocholesterolemic activity of Marsilea minuta Linn. in gerbils; Fitoterapia 2000; 71(2): 113-117. Chakravorti D and Debnath NB: Structure of Marsilea genin-A, A new hexahydroxy triterpene from M. minuta Tetrahydron 1975; 31: 1781-1782. Wallace JW, Chapman M, Sullivan JE and Bhardwaja TN: Polyphenolics of Marsileaceae and their possible phylogenic utility: American J. Botany 1984; 71: 660-665. Sabithira G and Udayakumar R: GC-MS Analysis of methanolic extracts of leaf and stem of Marsilea minuta (Linn. ): Journal of Complementary and Alternative Medical Research 2017: 3(1): 1-13. Dwiti M: Pharmacognostic evaluation, phytochemical investigation and antioxidant activity on leaves of Marsilea minuta Linn. (Marsileaceae): Journal of Pharmacognosy and Phytochemistry 2016; 5(2): 134-140. Madhu S, Velmurugan R, Gunasekaran J, Chandrika Devi CD, Deepa N and Sundhararajan R: Evaluation and antipyretic and analgesic activity of Marsilea minuta Linn Int Res J Pharm 2015; 6(1): 34-37. Madhu S, Kannabirran V, Frank RP, Sathish reddy M and Gnanasekar N: Evaluation of anti diabetic activity of Marsilea minuta Linn. against alloxan indued diabetes in albino rats: International Research Journal of Pharmacy 2012; 3(8): 223-225. Chakraborty R, Biplab De, Devanna N and Sen S: Antitussive, an expectorant activity of Marsilea minuta L., an Indian vegetable: J Adv Pharm Tech Res 2013: 4(1): 61-4. Bhattamisra SK, Singh PN and Singh SK: Effect of standardized extract of Marsilea minuta on learning and memory performance in amnesic rat models pharmaceutical Biology 2012; 50(6): 766-72. Tiwari OP, Bhattamisra SK, Tripathi PK and Singh PN: Biosci Trends. An anti-aggressive activity of a standardized extract of Marsilea minuta Linn: In rodent models of aggression 2010; 4(4): 190-4. Bindu AR, Rosemary J and Akhila S: Antimicrobial activity screening of M. minuta extracts: International Journal of Pharmacy and Pharmaceutical Sciences 2014; 6(10): 581-583. Revathi M and Catharin SS: Preliminary phytochemical analysis and antimicrobial activity of rhizome extract of Marsilea minuta L. International Journal of Scientific Research 2014; 3(2): 46-48. Bala N, Kool A, Thakur P, Das S, Nandy P and Basu R: Marsilea minuta (L.) plant extract mediated synthesis of gold nanoparticle for catalytic and antimicrobial applications. Int J Pharm 2015; 5(2): 600-609. Praneetha P, Rani SV and Kumar RB: Hepatoprotective activity of methanolic extract of leaves of Marsilea minuta Linn. against CCl4 induced hepatic damage in rats. 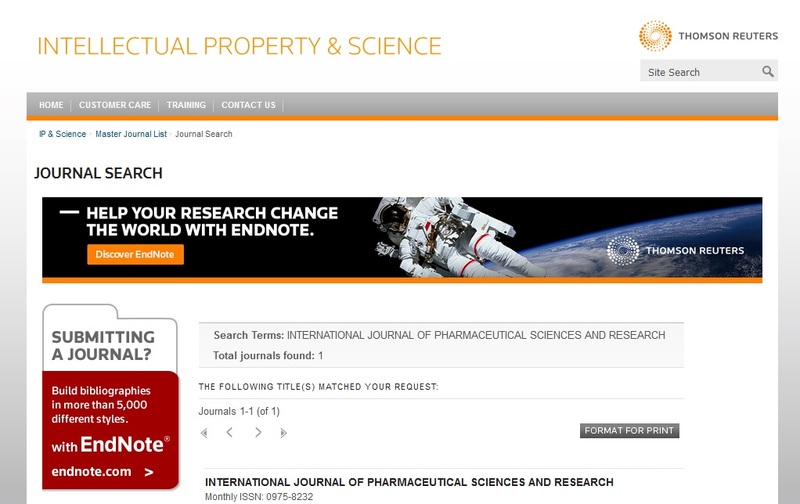 Global Journal of Pharmacology 2011; 5(3): 164-171. Gupta M, Mazumder UK, Datta I, Bhattacharya S, Mukherjee S and Manikandan L: Studies of Antifertility activity of Marsilea minuta Linn; Indian Journal of Pharmaceutical Sciences 2002: 64(2): 176-178. Sarker MAQ, Mondol PC, Alam MJ, Parvez MS and Alam MF: Comparative study on antitumor activity of three pteridophytes ethanol extracts: Journal of Agricultural Technology 2011; 7(6): 1661-1671. Bhattamisra SK, Khanna VK, Agrawal AK, Singh PN and Singh SK: Antidepressant activity of standardized extract of Marsilea minuta Linn. 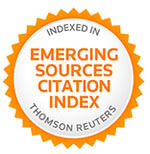 Journal of Ethnopharmacology 2008; 117(1): 51-57. Sajini RJ, Prema S and Chitra K: Phytoconstituents, pharmacological activities of Marsilea minuta L. (Marsileaceae) - an overview. Int J Pharm Sci & Res 2019; 10(4): 1582-87. doi: 10.13040/IJPSR.0975-8232.10(4).1582-87. Authors Address: Department of Pharmaceutical Chemistry, Faculty of Pharmacy, Sri Ramachandra Institute of Higher Education and Research (Deemed to be University), Porur, Chennai, Tamil Nadu, India.